The information presented on this page was originally released on June 27, 2014. It may not be outdated, but please search our site for more current information. If you plan to quote or reference this information in a publication, please check with the Extension specialist or author before proceeding. JACKSON – Party planners may have a hard time finding Mississippi-grown watermelons and blueberries for July 4th celebrations this year. Unfavorable weather slowed maturity and increased disease pressure for both crops. Much of the state’s blueberry crop is grown in south Mississippi, and most of its watermelons are grown in the southeast quarter of the state. Acreage for both crops remains steady. Blueberry producers grow about 2,700 acres, and watermelon growers have about 2,400 acres. David Nagel, a horticulture specialist with the Mississippi State University Extension Service, said wet conditions and cooler-than-normal temperatures set harvest back for watermelons and increased the occurrence of fungal diseases. Jeremy Maness, Extension agriculture agent in Smith County, said his watermelon growers are behind by one to two weeks. Growers do have watermelons that are nearly ready for harvest, but the continued rainfall has Maness concerned. Maness said the wet weather combined with the cool nights has caused anthracnose and bacterial wilt to show up in Smith County fields. Growers are managing the diseases with regular fungicide applications. 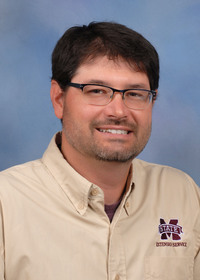 Rick Snyder, MSU Extension vegetable specialist and Mississippi Agricultural and Forestry Experiment Station research professor, said MSU pathologists diagnosed gummy stem blight and fusarium wilt on watermelon foliage samples from other counties. Nagel said wholesale prices for watermelons are about the same as 2013 prices. Wholesale prices for large, seeded fruit are around $6 per melon and between $4 and $5 for the smaller, seedless fruit. 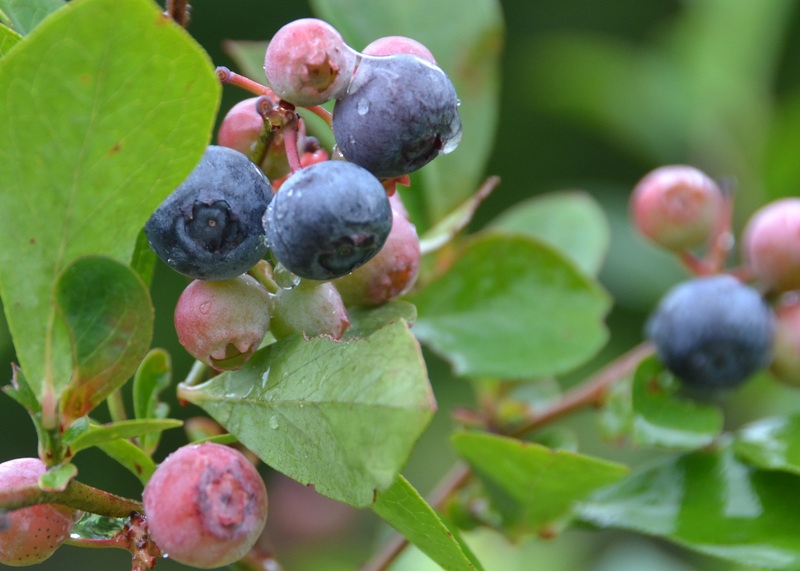 Eric Stafne, Extension fruit crops specialist, said blueberry growers will harvest a big crop this year but are about three weeks behind schedule. Excess rain increased disease pressure for the crop. Mummy berry and Exobasidium spot are the most common fungus problems this season, Stafne said. Pest issues have been limited to the spotted wing drosophila, a type of fruit fly first detected in Mississippi in 2010. The fly reduces fruit yield and quality, and the key to control is to catch it early and treat plants, Stafne said. North Carolina growers have spotted the invasive kudzu bug on their plants but have not seen damage. “Mississippi growers shouldn’t be overly concerned about this pest, but they should be able to recognize it so they can monitor it,” Stafne said. The crop’s lateness pushed wholesale fresh market prices down from last year, Stafne said.